Architecture, like all art forms, has its lovers and its critics. If a new structure did not draw attention of both, then there would be nothing new to celebrate or berate. A new residential structure built for West Bund in China is one dwelling that is causing a stir. 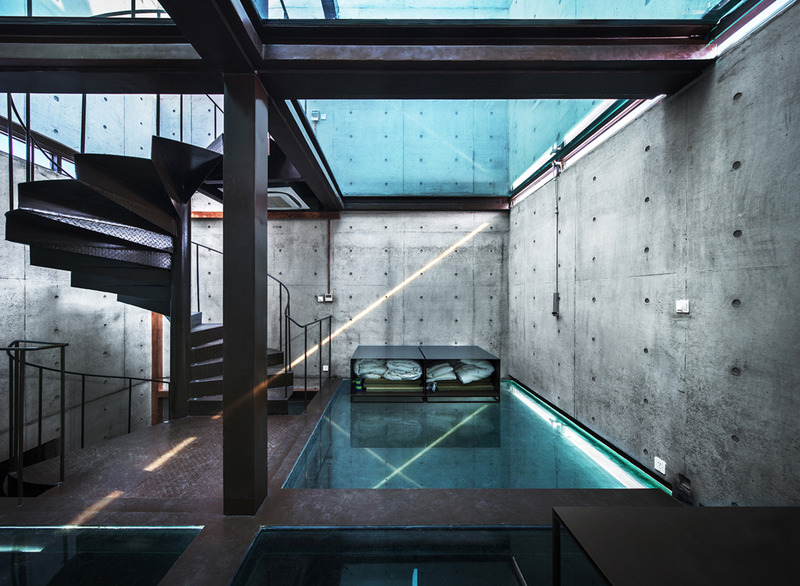 The building is the Vertical Glass House and was designed by architecture firm, Atelier FCJZ. It was originally designed by Principal Architect, Yung Ho Chang as an entry into the Shinkenchiku Residential Design Competition in 1991. Yung Ho Chang won Honorable Mention in the competition for the Vertical Glass House Design. In 2013 the West Bund Biennale of Architecture and Contemporary Art in Shanghai decided to have the concept come to life. It will be built as one of its permanent pavilions and used as a one-room guest house for visiting artists and architects while serving as an architectural exhibit. The building is four stories with a footprint less than 40 square meters. It is vertically and horizontally transparent. It has enclosed walls with transparent floors and a roof. The floors are composed of 7cm thick composite tempered glass slabs which houses perimeters with inner lights. The transparent floors is what is driving the criticism, everyone is questioning the privacy of the house. But realistically, when living alone, what more privacy do you need? The only real alteration from the original drawings for the competition to actual construction was that air conditioning was added. All of the furniture for the space was designed for the house to keep its coherency intact. A new and beautiful structure, a residence some would like to call home and others would, in the clichéd form, cast stones has now come to life in the Vertical Glass House. ← Previous Story What Is The Greenest Floor of All?